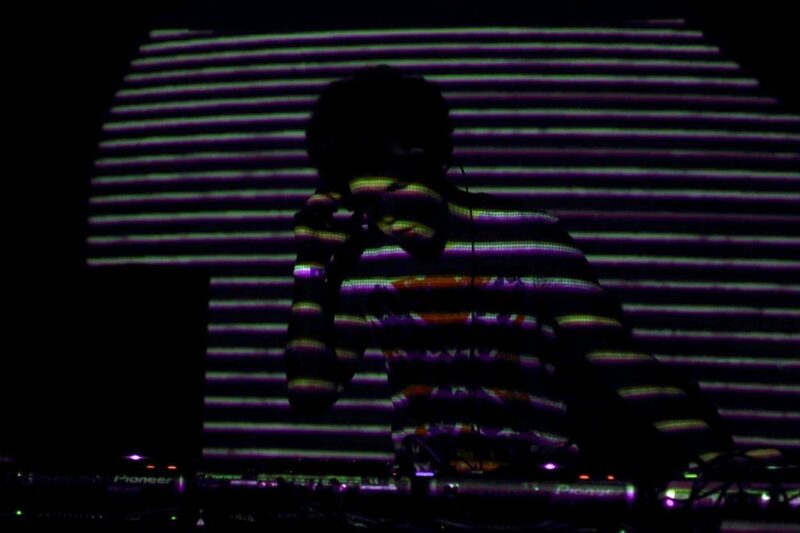 As appetizer for the last SHADOWDUB PARTY at SUBLAND in 2012 we had a quick chat with our guest BISWEED, exclusive mix included! Hello. I am Bisweed, also known as Maksim Adel but please do call me just Max. I come from Tallinn, Estonia although I speak Russian at home. I study event management at University of Tartu Viljandi Culture Academy. I have a tiny musical background: I have been playing the piano for about 5 years but I have never been good at solfege. I started building beats about 6 years ago when I was 13 or 14 and I started DJ-ing 3 years ago. It’s the second year I have been DJ-ing on our local FM radio station Raadio2. The show is called “Kajatuba” what means echo chamber from Estonian. I have got my music released via Smokin Sessions, Millions of Moments UK, Paradise Lost Recordings and other labels. My music is not quite the reflection of my personality, I am not that dark or that “chilled out“ person. I like hot girls, cold beer, tasty food and travelling. I don’t like television and I really hate when somebody is champing. I am generally pleased with what I am at the moment, but I believe there will always be some point I will be trying to reach. Maybe it’s the maximum I would say about myself. Basically if you want to find more about me, follow me on Twitter: I often start my tweets with “I hate/I love“ haha. 1. I don’t like to think I have my own special sound. 2. When I am asked which music I like/listen to/build I try to avoid term dubstep, replying to them just “electronic”. 3. Oh, actually there is one generalization about my sound: my music is likely to have much bass and other low frequencies. I believe that mind, love, creativity, skill and at least some mid-class production hardware is the minimum which allows one to build a good piece of music. If speaking about hardware, I wouldn’t be able to build anything without a computer and a sequencer on it. I feel quite uncomfortable if I don’t have any keys or a simple MIDI-controller (I like to feel music and if I could afford, I would use hardware synths). Last but not least: the sound itself! No matter if headphones or speakers, these should sound well. These should give you as much sound and frequencies as you can afford (money, neighbours etc). These all are VERY improtant, this is the essential minimum for me, I would say. But. Ears are the most essential. If you can’t hear, you can’t be sure if your idea sounds like the way it should. I try to protect my ears, especeially when being out of studio. All the DJs and producers, but also clubbers, save your ears! “No triplet stuff”. Jokes. While I wasn’t DJ-ing yet I was told my tunes’ intros hadn’t been DJ-friendly and I started making some more commonly structurised tunes: intro (with hats!) – drop – drop’s variation – breakdown – 2nd drop – again variation – outro. This structure is super-DJ-friendly. But I think I have lost some originality by following this advice. I started to forget that I don’t only make music for DJ-s. But it’s all right now. Maybe the best advice is what I have found in the Internet myself. It sounds like this: “be sober while making music”. To be honest, it’s actually a tricky question because I have never thought anything of brostep and dungeon. Now I have to think up my attitude to answer your question. Chillstep is the funniest term! I don’t like when my tunes are categorized as chillstep. Let’s say I hardly ever use all these terms, actually. I even sometimes try to avoid such words as hard or deep to describe music because everyone have got their own understanding of what is hard and what is deep. Dark is cool though. I like dark stuff. I like the other stuff as well. Maybe I prefer to give exact examples when speaking about music: “I like stuff like Silkie’s Concrete Jungle but I don’t feel I will ever like Borgore’s Ice Cream. I would be interested to hear more tunes like Ill K’s Time Machine”. I actually like how the thigs were back in the day. Everythig was just classified as dubstep. Oh yes. I am guesting at shadowdub’s event. If you are in Berlin on the 28th of December, please make sure you reach Subland. You can hear sets by MUD’s Dcult, me, Robotic and Species. 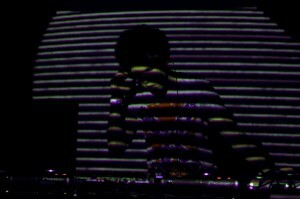 And also, make sure you check my mix I have recorded exclusively for shadowdub. Respect shadowdub! First shots and then longdrinks. And if you still have got some money left, try to get some hookers and cocaine. First I need to finish the tune called Greed. This will be the last tune on Tsar Bomba EP (Paradise Lost Recordings) and will be available only in digital format. The rest of EP is a result of hard work within long period of time and I am really glad we are finally so close to release it on vinyl. It contains such tunes as Ghosts VIP, Question (collaboration with AX Farel from Moscow), Catacombs, Tsar Bomba and a 130 BPM Greed. Also, there will be some free surprises connected with this EP. Big up Rob Robotic, big up AX Farel, big up Exponaut big up the whole Paradise Lost crew and everyone who has been supporting or feeling these tunes. I am really looking forward to this to happen but as far as the work is not quite finished yet, this is the number one plan for the future for me. I am also trying to work with several saxophone musicians. Hope that the result of these collaborations will sound well. I believe I will build and play more 130 BPM stuff in future. I’m pretty much interested in my mate’s label Strictly Dub Records so I’m trying to help Mr. Chaozlevel to organize that stuff because I really believe this label will bring good lots of good music in future. Can’t tell you more, let’s just live and see what happens. I love the expression “last but not least“. I’ll try to be short here. Thank you for your attention. Thank you for your love. Big up Robotic, big up Species. Shouts to my close mates, shouts to Chaozlevel, Slin, Exponaut, Siprut, big up AX Farel. Respect if you feel my music. Ladies, I love you! Berlin, see you on the 28th of December. One love.